With modular solutions that increase efficiency and reduce carbon footprint, contemporary balustrade design is at the forefront of modern methods of construction. Jason Hensey, national sales manager at Neaco, explains the benefits of modular systems and the key considerations involved in the design process. Increasing site efficiency and safety while reducing environmental impact are the key objectives of modern methods of construction. 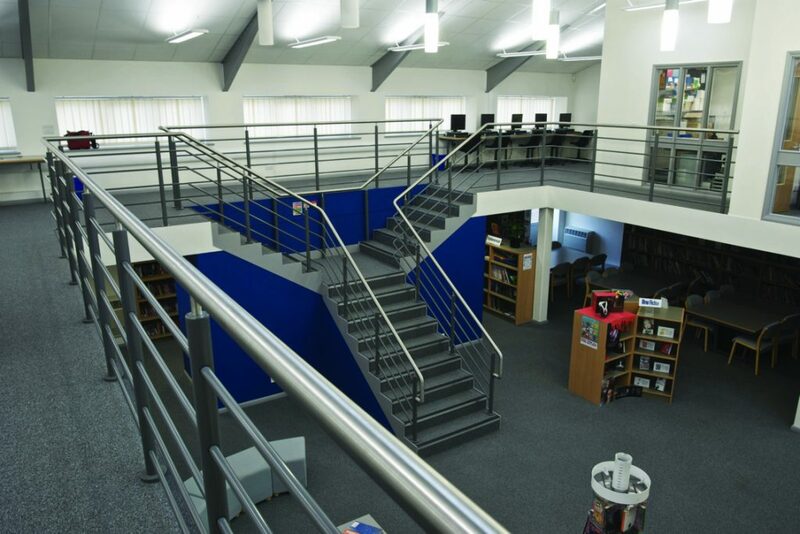 They are primarily achieved by completing as much construction activity as possible off-site; with components already finished at the factory stage and quickly assembled on delivery, modular balustrade systems are ideal for that purpose. 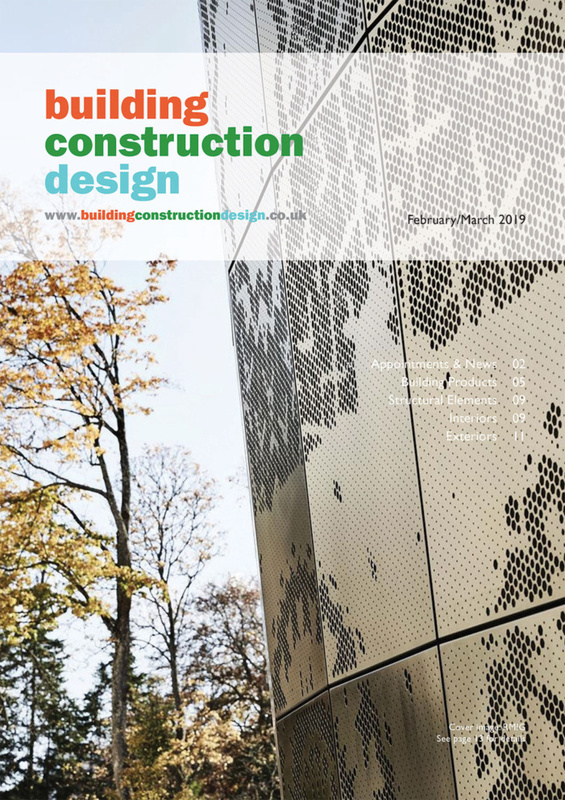 The precise combination of components, angles and dimensions is defined through consultation between the architect/designer and the manufacturer’s technical support – therefore survey and installation is the only time spent on-site. The impact to the existing site is significantly lower: ‘dry works’ installation involves less noise, dust, pollution and energy consumption than ‘hot works’ construction such as welding. 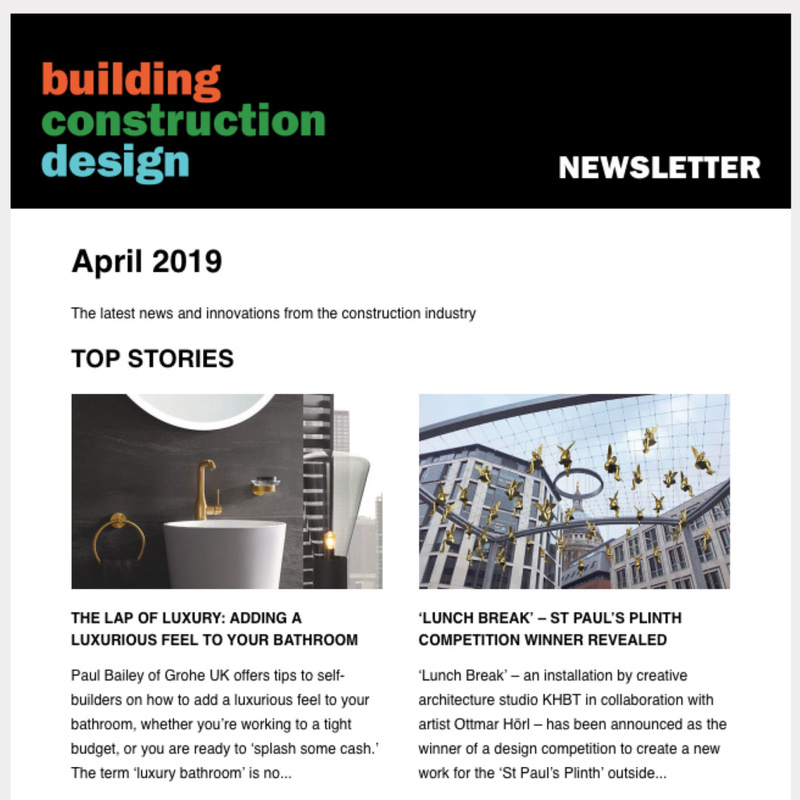 Carrying out construction in more controlled factory conditions avoids on-site delays caused by adverse weather and enables better health and safety risk management, which is further improved with the avoidance of hot works on-site. A factory environment also enables superior quality control (with testing, prototyping and checking of uniform quality) and far better waste management – standardised finished components mean minimal waste materials and any offcuts are easily collected and reused or recycled. 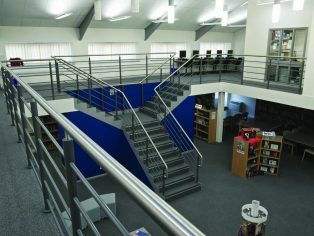 As well as improved environmental performance, the uniform quality of modular balustrades provides reliable performance in meeting building regulations. When choosing suppliers it is important to check that their systems are manufactured in accordance with BS6180:2011, which provides a comprehensive guide to the design, structure, height and strength of barriers. Balustrades must offer suitable horizontal, load-bearing capability for its particular environment – for example, in areas where people congregate without crowding, such as a stairs or corridors, it should bear uniformly distributed line load of up to 0.74kN/m, whereas restaurants and retail/public areas not subject to overcrowding and pedestrian areas in car parks require a load-bearing capability of up to 1.5kN/m. 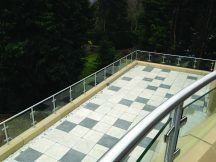 Popular choices of material for high-aesthetic handrails and balustrades are aluminium, timber, stainless steel and toughened glass. Aluminium has a number of natural advantages: it is lightweight yet durable, non-toxic, non-combustible and with time generates a protective oxide film coating with excellent resistance to corrosion. It is also 100 per cent recyclable, with no downgrading of its properties and very little energy is required for re-melting. It also has the ability to accept different surface finishes such as powder coating, thereby providing aesthetic versatility with RAL or metallic colours. Powder coating offers a maintenance-free, non-chip finish which is smooth, safe and warm to the touch. In extreme conditions, external metal handrails can become extremely cold and uncomfortable to the touch (BS6300 recommends that handrails should not be cold or hot to the touch) and the low thermal conductivity of powder coating addresses this problem. The natural beauty of timber is an attractive aesthetic option, but a number of disadvantages are worth considering: ongoing treatment is required to maintain its appearance, prevent absorption of bacteria and control infection. Advances in powder coating mean that aluminium can now be finished with the detailed appearance of natural wood grain, providing the traditional aesthetic of timber without its drawbacks. Stainless steel also provides a high-class appearance and, compared to timber, its aesthetic virtues are less compromised by practical disadvantages. It is extremely hard-wearing with no ongoing maintenance required to maintain its visual quality. Different grades suit different environments – for example, Grade 316 for external use and Grade 304 for dry internal use. With no supporting uprights, structural glass is an ideal balustrade solution for maximum visibility and a minimalist aesthetic. To meet performance requirements free-standing structural glass must toughened in accordance with BS EN 1991-1-1:2002 – the stronger systems on the market will offer load bearing capability of up to 1.5kN. A factory heatsoaking process can accelerate crystallisation, reducing the risk of potential breakages when the glass is in situ. Architects don’t need to feel intimated by balustrade design. 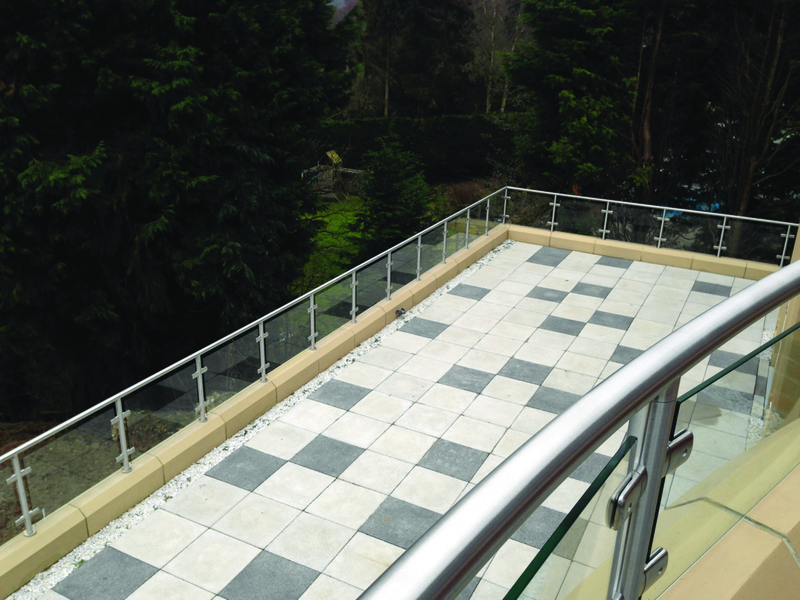 With established expertise, services and procedures to back its products, a good balustrade supplier can provide technical support to help guide the design journey and a team of installers to ensure that a concept is realised with 100 per cent accuracy.